We've been asked by the sparkle team to review and audit their smart contracts. We at QuillAudits are a team of blockchain developers , consultants and security auditors , trying to build a more secure and safe community in the Blockchain space. 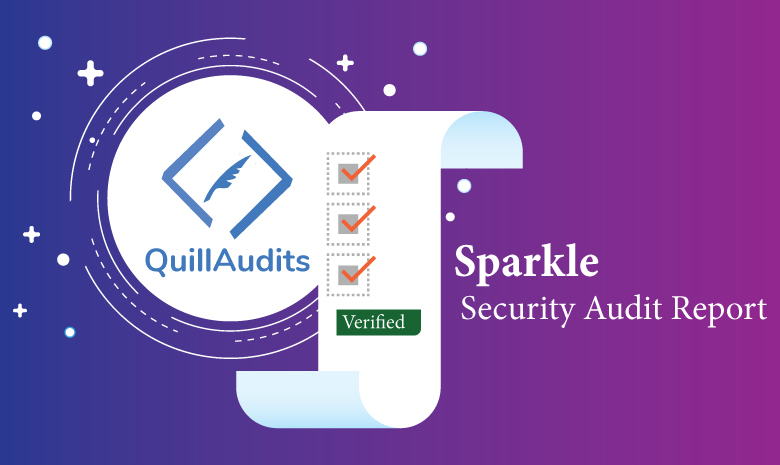 QuillAudits, QuillHash Smart Contracts Security Audit platform ensures the reliability of your smart contract by complete assessment of your system's architecture and your smart contract code-base. 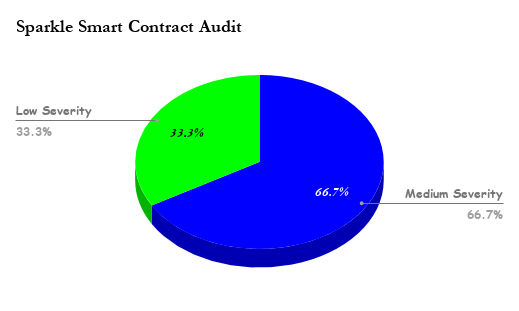 This Audit Report highlights the overall security of SPARKLE Smart Contract. With this report, we have tried to ensure the reliability of their smart contract by complete assessment of their system's architecture and the smart contract code-base. The focus of the audit was to verify that the smart contract system is secure, resilient and working according to its specifications. Smart contract doesn't have functionality to pause smart contract is case of any attack or bug found in smart contract, pause function will stop all the functionalities of smart contract i.e transfer(), transferFrom(). Use pausable library to stop or restart smart contract functionalities. 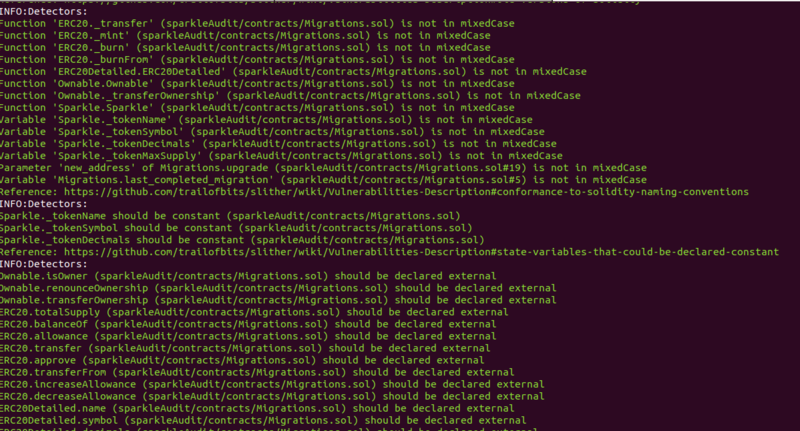 Status : Not considered as an Issue because contract doesn't have use case to stop or restart. coverage report resultcode doesn't covered in coverage reportImplementation Recommendations : Use case of smart contract is very well designed and Implemented. Use pausable library to stop functionalities of smart contract in case of attack on smart contract. Remove unused functions from smart contract. Overall, the code is clearly written, and demonstrates effective use of abstraction, separation of concerns, and modularity. Sparkle development team demonstrated high technical capabilities, both in the design of the architecture and in the implementation. All the Issues either solved or not considered as an issue by sparkle Team, Sparkle Token contract is deployed on main Network and sparkle development team decided not to redeploy smart contract as no critical issue is find in smart contract.